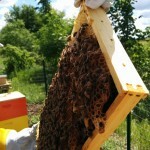 Home › Miller MFG Company › Beekeeping › Why Bees? Keeping bees might be simpler than you think! 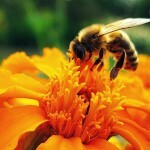 Beekeeping is a simple hobby with sweet rewards! The world that bees create inside of their hives is largely self-sufficient, requiring monitoring more than intervention. The infrastructure and hierarchy they create is a breathtaking creation requiring not much more time and effort than a garden. Since their flight and for aging patterns include up to 8,000 acres of land, the entire community is helping to feed your hive while the bees are pollinating their plants. If your neighbors are apprehensive, a jar of freshly extracted honey might just be the best medicine to calm any nerves. The source of hundreds of years of homeopathic remedies and at the heart of thousands of delicious recipes, honey is the ultimate prize of beekeeping. A single hive can produce up to 100 pounds of honey in a year, and at $6-7 per pound, it keeps getting sweeter! 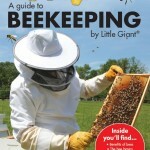 Backyard beekeeping is great for the bees! Just like crops, diversity is one of the keys to maintaining healthy hives and aiding the conservation effort of the bees. As we become more dependent on year-round availability of previously seasonal foods, backyard beekeepers can help to reduce the spread of diseases among bees to bolster populations and keep plants pollinated. 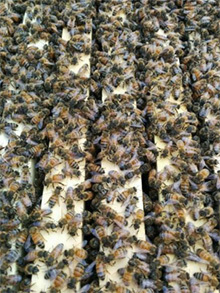 Currently, 30% of beehives die annually, and segregated garden hives are part of the solution to this growing problem. 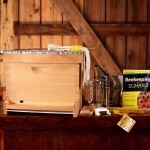 Municipalities are catching on to the ever-increasing need and want for backyard beekeeping. Be sure to check your local policies and laws before starting your hive. Our food sources depend on it! 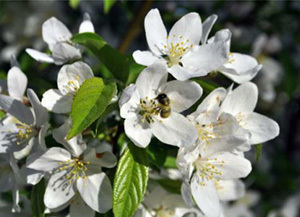 Berries, apples, almonds, and cucumbers are just a few of the delicious foods that are pollinated by bees and imperative to our food chain. With bees dying off in ever-increasing numbers, due in part to pesticide and fungicide use, backyard beekeepers are necessary to bring back populations and keep our own plates with food. According to the NRDC, at least 30% of theworld’s crops are pollinated by bees, equating to$15 billion a year in U.S. crops that are dependent on the insects for successful harvest seasons.